Looking for a new mobile drawing device? The upcoming Lenovo Yoga Book might be the perfect fit for your needs! 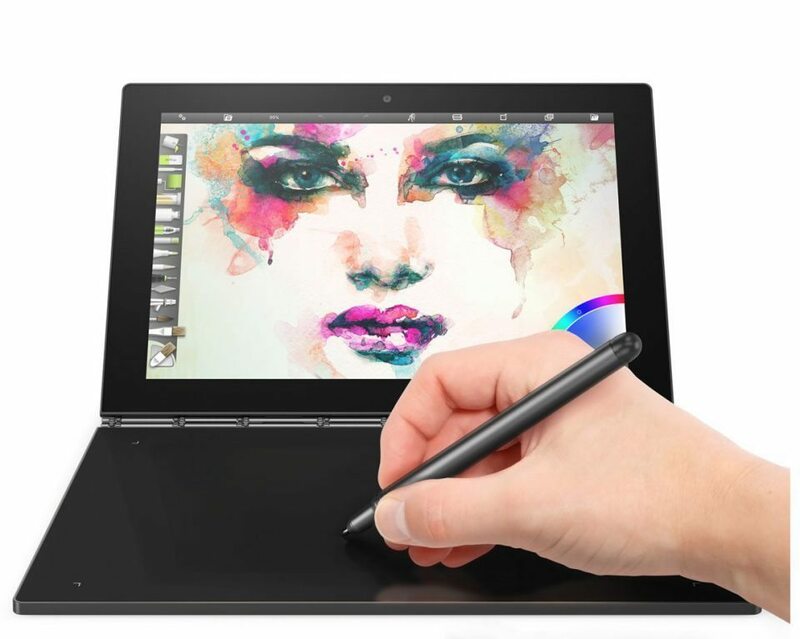 The Lenovo Yoga Book is a light weight tablet/laptop hybrid with a pressure sensitive stylus and a dual touch keyboard/drawing surface cover. It was just announced at IFA in Berlin and was picked as the Best in Show by Digital Trends. It’s suitable for students and artists who need a portable, high quality, drawing device. Yoga Book is the world’s thinnest 2-in-1(1) tablet, with a dual-use, pressure sensitive stylus that writes on paper and screen, and a touchscreen backlit keyboard that doubles as a drawing surface. The Yoga Book comes in both Windows and Android versions. Each version has the same hardware, but one lets you run Windows and install desktop software, while the other is a fully Android device. 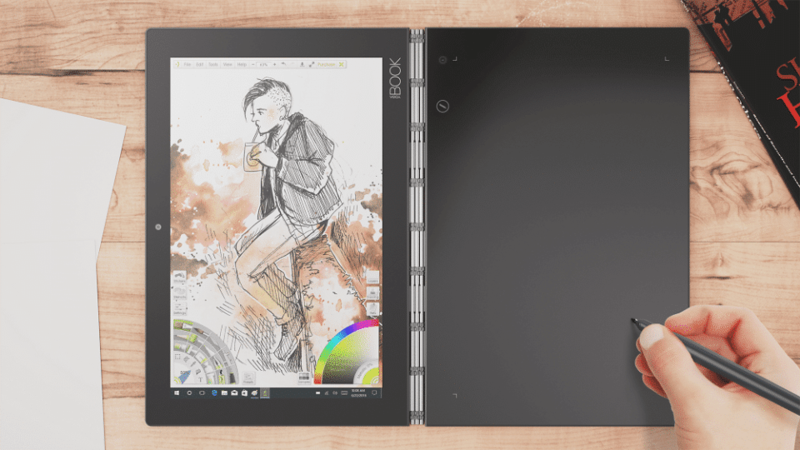 The Yoga Book combines a large screen Android (or Windows) tablet display with a protective cover that acts as both a Wacom graphics tablet and touch keyboard. It is designed as a portable and discreet device for note taking, study, and portable sketching. Lenovo selected ArtRage to showcase the impressive drawing and painting capabilities of this unique new device. After all, what use is an easy to use, flexible, art tablet without an intuitive and equally flexible art program? The new Lenovo Yoga Book is perfect for quiet note taking and sketching. An ArtRage Lite trial is included on the Windows device, and our popular ArtRage for Android app is included on the Android device. 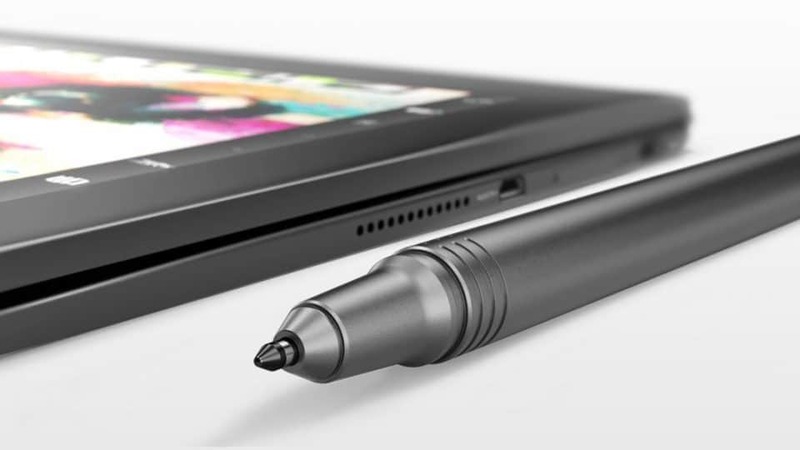 The Real Pen offers 2048 levels of pressure and 100 degrees of tilt sensitivity. It also allows you to switch nibs and write with real ink, with your writing and sketches captured onscreen. The black tablet attachment serves dual purpose as a graphics tablet style drawing area and a touch keyboard (you can’t use both at once). It is designed to be silent, fast to use, and feel like real paper. 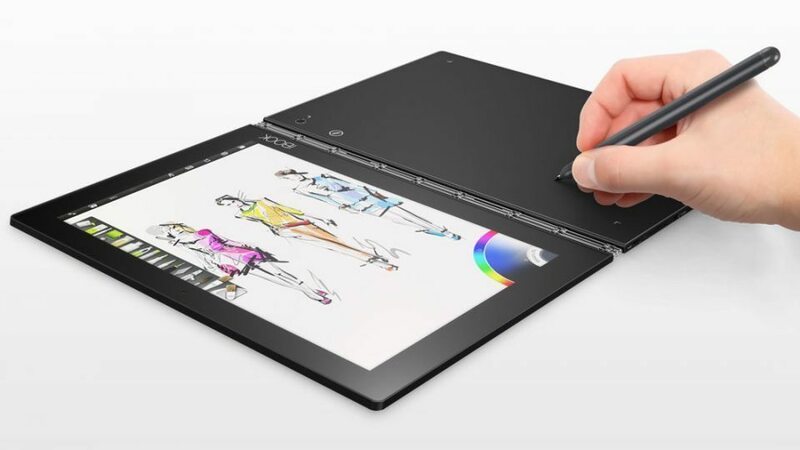 You can also connect the Yoga Book to a large screen and use it as a portable graphics tablet. The stylus supports 2048 levels of pressure, and 100 degrees of tilt recognition using EMR technology (so no batteries needed) when drawing on the cover area. The screen is interactive and can be drawn on directly using AnyPen technology, but does not support pressure sensitivity. The stylus also includes handwriting capture, allowing you to sketch and draw on paper and have your lines appear onscreen. ArtRage is a realistic natural media painting program with an accessible interface that allows you to jump into digital art and start creating with oil, watercolor, pencil and more. The two included versions of ArtRage are approximately equivalent, so you won’t miss out on many features if you prefer one operating system over the other. This introductory desktop version of our powerful ArtRage software is designed to be easy to get started with, and the perfect lightweight companion software to the Yoga Book. The trial does not expire, but offers limited save and export options (maximum size 1280×1024 pixels, PTG or JPEG only) and some minor limitations on custom resources, similar to our full ArtRage demo. The Android app offers the same features as our existing paid app in the Play Store, Amazon and Galaxy Apps. Experiment with the full range of natural media tools and paper textures, along with all the digital extras like Fill, layers, transform and ArtRage script recording (which allows you to play back your paintings at any resolution in ArtRage 4). You can compare the features of different ArtRage editions. A thorough review of the keyboard and drawing tablet, to help you decide if this is the the drawing device for you. And some beautiful art using the Pastel tool in the ArtRage for Android app.